I’m continuing on my journey to write about every quarterly edition of Field Notes that I have, with a few exceptions. Last time I wrote about Shelterwood, and for this post, I’m choosing a very old one, Just Below Zero. Not quite season-appropriate but hey, it’s about time! After this, there will be only two left: Mackinaw Autumn and Night Sky. As usual, this post will be image- and trivia-heavy, with a summary of details at the end. Just Below Zero is the winter release of Field Notes from 2009, 5th in their quarterly edition series (called COLORS back then). With the 35th edition coming up in the summer, Just Below Zero feels like an ancient edition, and it might not look so buzzworthy by today’s standards, but I really love it for its simple winter theme and the “classic” features (I’ll get into these later). It’s also hard to believe that this was almost 8 years ago, and it’s astounding that only 3,000 packs of Just Below Zero were made, while recent editions easily go for 30,000 – 40,000 packs. But it’s clear Field Notes had realized the potential of limited editions (and subscriptions) by then, and JBZ’s edition size was already six times the size of the first COLORS editions (Butcher Orange and Butcher Blue, each 500 packs). Just as its predecessors, Just Below Zero did very well, and 3-packs quickly sold out by the end of November 2009. I didn’t know about Field Notes back then. I only have one pack of JBZ, which I got years later, and I still consider it one of the more special and unique Field Notes editions that I have in my collection. Just Below Zero is old enough that I often think of it as the first winter edition but it wasn’t. Believe it or not, Butcher Orange was released in January 2009 and is considered the 1st winter edition (Winter 2008/2009), but I doubt Field Notes was thinking about seasonal themes at that point. The COLORS series was still in its infancy after all, and it isn’t until Grass Stain Green (Summer 2009) that they even started naming the editions according to their themes, not after paper names. So I view Just Below Zero as the first edition with the cold winter season as its inspiration. And they convey it through matte covers in three “icy” colors: French Dur-O-Tone “Steel Grey”, Pop-Tone “Sno Cone”, and Construction “Steel Blue”. I should note that Just Below Zero is not the first multi-color limited edition: Mackinaw Autumn, which came right before JBZ, was the first. According to the video An Obsessive’s Guide to Field Notes COLORS: Part One, they liked the result of Mackinaw Autumn so much that they decided to do the same thing for the winter edition as well. I’m glad they did. The insides of the light blue and the dark grey books are printed with the same metallic silver ink used on the outside covers, whereas the medium grey book is printed with a non-metallic gray ink inside. The only other major “first” in Just Below Zero, besides the wintry theme, is that it was the first time Field Notes used metallic ink on the covers, Pantone 877 specifically. I really love how the silver ink looks on the matte covers, especially on the medium grey book (“Steel Blue”). Except, the combination of that grey paper with the silver ink rendered the smaller text on the inside cover hard to read, so Field Notes ended up going with a non-metallic grey ink (Pantone 422) instead, just for that book. Next time we see metallic ink in COLORS is County Fair less than a year later in summer 2010. It’s often not a big, defining feature in today’s Field Notes, but it definitely was in Just Below Zero, and I cannot imagine it without the metallic ink. I like how at certain angles, the metallic ink “disappears” into the background color. More notes on the cover stocks used in Just Below Zero. Dark grey is not so rare in Field Notes, but I don’t think we’ve seen this specific French Dur-O-Tone “Steel Grey” anywhere else (see color comparison pictures far below). As for the light pastel blue book, French Pop-Tone “Sno Cone”, we see this specific paper reused in Two Rivers much later in Spring 2015, and in Point Oh edition (not COLORS though). The third book in JBZ with Construction “Steel Blue”, the medium grey one, is quite a unique color, and to this day it’s my favorite grey Field Notes. It’s really hard to describe the color. I’ve said it’s medium grey but that’s relative to the other two colors in the pack. It could be considered a light grey, and it has a strange blue-greenish tint to it. I love it, especially with the silver ink. The only other time we’ve seen this “Steel Blue” that I’m aware of was in the J.Crew edition, which was made roughly around the same time and featured the same Pantone ink colors used in JBZ. Edit: I spoke too soon. The belly band in the 2015 edition of XOXO Field Notes seems to be made with the same “Steel Blue” cover stock. Oh, look what we have here? XOXO 2015 (left) and Just Below Zero (right) with the “Steel Blue” book on the top. No fancy belly band with the “Just Below Zero” name here. Just a plain white one with the title “Graph Paper” and item number FN-01. matte French Paper covers (County Fair is the first to break the pattern). “Practical Applications” are not edition-specific; they’re the same as the ones in the Original kraft (County Fair again breaks this pattern). Innards are Boise Offset Smooth in 50#T in “White” (Balsam Fir is the first with the now-usual Finch Paper Opaque Smooth). Another fun fact: the Specifications in the back cover of Just Below Zero say the corners are rounded to 3/8" (6.4 mm) but the correct conversion should be 9.5 mm. You see this in many other earlier editions, and it isn’t corrected until Balsam Fir in winter 2010 (later printings of County Fair are also corrected). Edit: this 6.4 mm seems to originate from 1/4", which was the original radius Field Notes used in the very early days, even before Butcher Orange. Gray-ish graph grid comparison, counter-clockwise from top: Sciences book from Arts & Sciences (with grid in “Academy Gray”), Original Graph (“Double Knee Duck Canvas”), Snowblind (“Hoar Frost”), XOXO 2015 (“Late Season Snowpack”), Just Below Zero (“Frostbite”), American Tradesman (“Spacious Skies”), County Fair (“Babe the Blue Ox Underbelly” light blue), Red Blooded (light gray), and Coal x DDC (“Puget Sound Gray”). Quick color comparison! Top row, from left: Point Oh, Just Below Zero (both French Pop-Tone “Sno Cone”), Flight Log (French Dur-O-Tone “Butcher Extra Blue”), Flagged by Ellen (French Pop-Tone “Berrylicious”), Sweet Tooth (French Pop-Tone “Blu Raspberry”). Bottom row, from left: DDC Pop-Up Edition, Just Below Zero (French Construction “Steel Blue”), Lootcrate, and Nixon (2015). Just Below Zero is the 2009 winter edition of COLORS, the 5th in the series. 750 3-packs were available through the FN website. Only 200 subscriptions were available starting with Just Below Zero, at $129 each. Printed by: Service Graphics, Inc., Oakbrook Terrace, Ill.
“Practical Applications” are the same as the ones in the Original kraft books. Just Below Zero embodies all the reasons that made me fall in love with Field Notes COLORS a long time ago: understated design with simply-executed seasonal theme and colors that are timeless and versatile. It’s still one of my favorite winter editions, along with Balsam Fir and Northerly. No wonder it’s in the top 10 of my Field Notes rankings. I’d love to see another edition like this, especially the “Steel Blue” color. 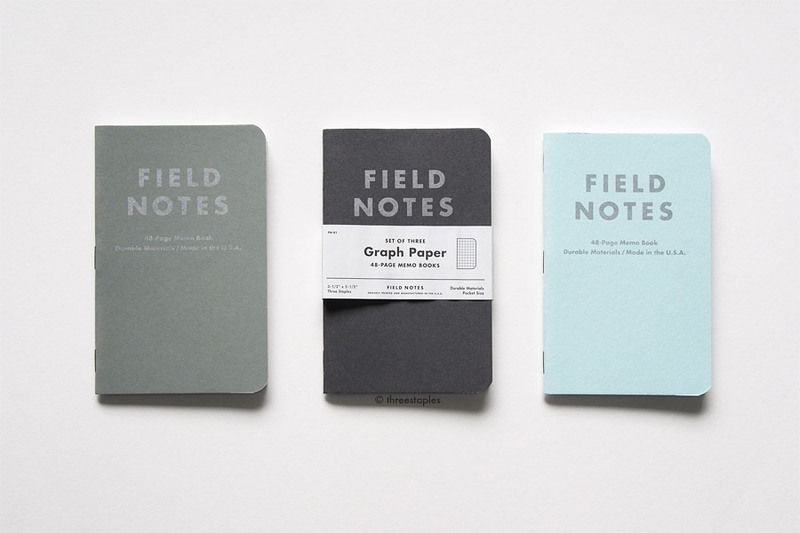 Are you one of the early Field Notes fans that scored Just Below Zero? How do you like it now, compared to when you first got it?